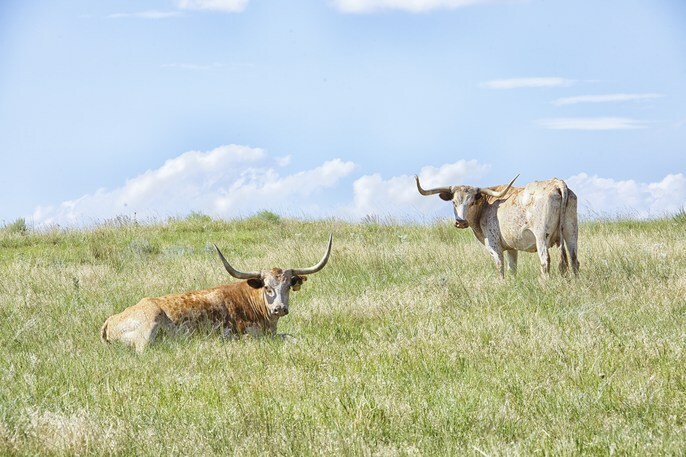 Important article in the current issue of Sierra Magazine debunking the idea that the Earth needs more cows grazing not fewer to prevent the soil in grassland, prairie and desert regions from degrading while restoring native grasses. As our planet warms a process called desertification is reducing these habitats totaling an area the size of Pennsylvania to dust each year. The author of the theory purporting to reverse desertification via increased grazing popularized it with a TED presentation. Science does not agree, however scientists concur that replacing the practice of finishing beef cattle on corn with grass finishing will reduce greenhouse gas emissions, also, less corn production means less tillage that releases carbon from the soil. Beef cattle account for 25% of U.S. agriculture emissions. Agriculture in the U.S. is responsible for 9% of the total greenhouse gas produced nationally. Included in the article is a sidebar comparing the carbon footprint of meat with other foods. Individually, we can be part of the solution by incorporating more vegetarian/vegan entree’s in our weekly diets.